Feature Karl Ferdinand Braun could never have imagined how fiercely competitive and technologically advanced the global market for displaying still and moving images on a screen would become during the hundred or so years since he created the Cathode Ray Tube (CRT). But in a world where CRT once reigned supreme, Liquid Crystal Display (LCD), plasma and Digital Light Projection (DLP) TVs have taken its place. Plenty of CRTs are sold each year, but it's clear that the technology's days are numbered. But how long have its successors got left to them? 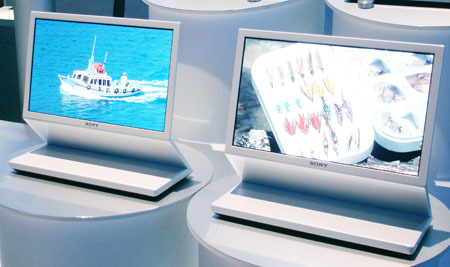 LCD, plasma and DLP offer some key advantages over CRT: they can be made much thinner, and can scale to bigger screen sizes and larger resolutions. But for all the advancements made to each technology, a fair few viewers believe - with good reason - that clunky old CRT TVs still produce better pictures. 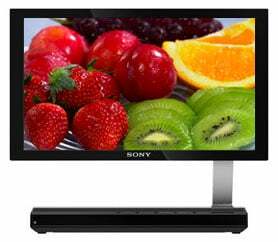 That means there's a gap in the market for a flat-panel display that can present a moving picture that's as bright and as blur-free as a CRT but also supports the high resolutions only LCD, DLP and plasma can provide. The development of OLED technology stretches right back to the 1950s, but the first demonstration of the kind of screens we know today took place in 1996. The technique utilises organic compounds that generate light when they're fed with an electric current. Deposit tiny drops of a given compound onto a glass or plastic panel and sandwich it between a grid of positive and negative electrodes and you've got a simple, single colour OLED panel. Combine three of these into one and you have the basis for a three-colour - red, green and blue - panel capable of displaying colour pictures. Because OLED panels generate their own light, they don't need a separate light source the way an LCD panel does. That not only helps reduce their power consumption - up to 40 per cent less than LCD, it's claimed - but leads to better colour reproduction. The trouble with a backlight is that it's always lit no matter how few pixels are showing a colour other than black. OLED pixels only consume power when they're lit. Breaking Fad Firm ramps up TV production, unveils new 4K models — and cries wolf?